Digital photogrammetry is the fastest method for creating and updating geographical information. It works entirely with digital technologies for collecting digital images of the Earth’s surface. Depending on the target of the project and the size of the object of interest, is made a detailed analysis of existing data and selected parameters and the technical tools for filming. Plan for the flight is prepared, network of reference points is composed. By this network are monitored the flight in real time by means of GPS, and then aerial digital image are attached to the surface. 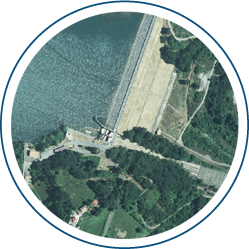 Stereo situation and relief – stereo mapping is a method for creating vector data with spatial coordinates for the territory covered by the aerial. 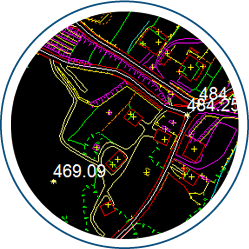 As the process of mapping monitored and plotted series topographic and specialized data such as topography characteristic lines of the terrain (supporting and retaining walls), urban areas, with all items and objects that build up surface and underground infrastructure, water bodies and watercourses, woodlands, plantations and others. 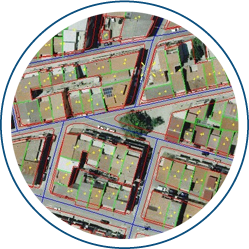 Vector information obtained with the stereo mapping can be used to create three-dimensional models such as the terrain and to create three-dimensional models for modeling urban environment. 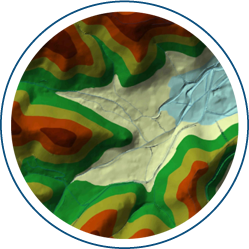 Creating a digital terrain model (DTM – Digital Terain Model) – Digital terrain model represents points with known coordinates and altitudes, presented in the form of horizontal or georeferenced bitmap as accuracy is a function of the method of referencing accuracy of aero-triangulation and the resolution of the pictures. 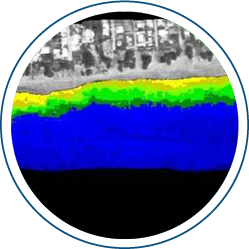 For creating quality orthophoto plans, you should have precise and detailed composite digital terrain model. 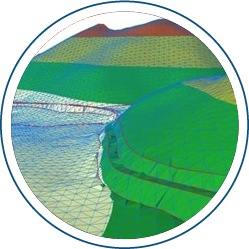 This model has a number of other applications, such as modeling of flood risk, calculating volumes, planning and design of retaining walls in landslide areas.